Hi everyone! First off, let me do a quick little introduction. 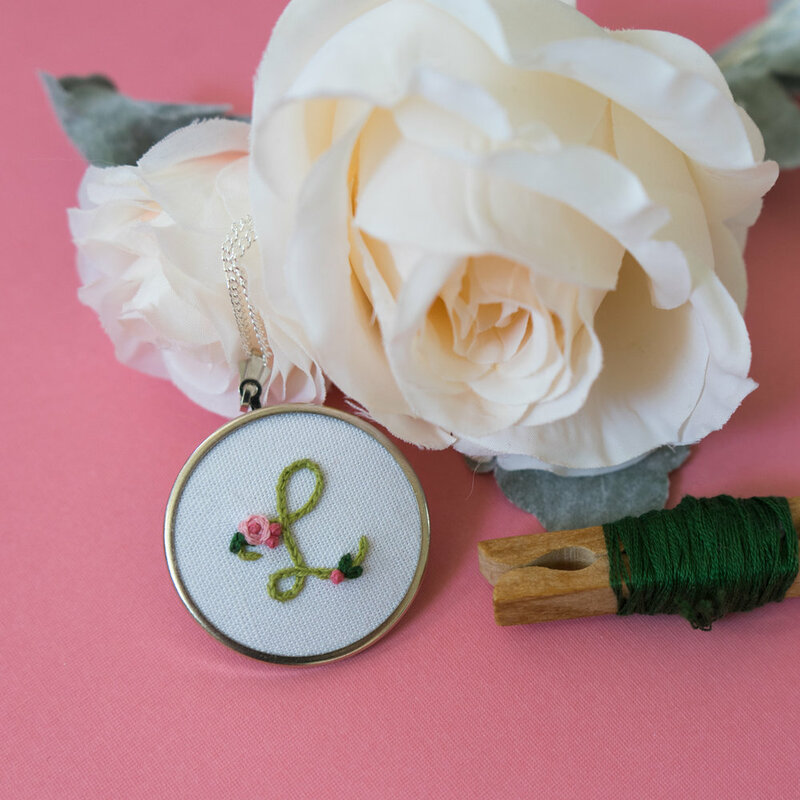 My name is Kassie Scribner, and I’m the lady behind Lady Scrib Design & Embroidery! I’m living in the quaint little neighborhood of Liberty Wells, and I pull a ton of my inspiration from pop culture, the Bible, past creatives, admirable women, and more. I’ve been designing for nearly 10 years, but my embroidery journey started officially just two years ago. 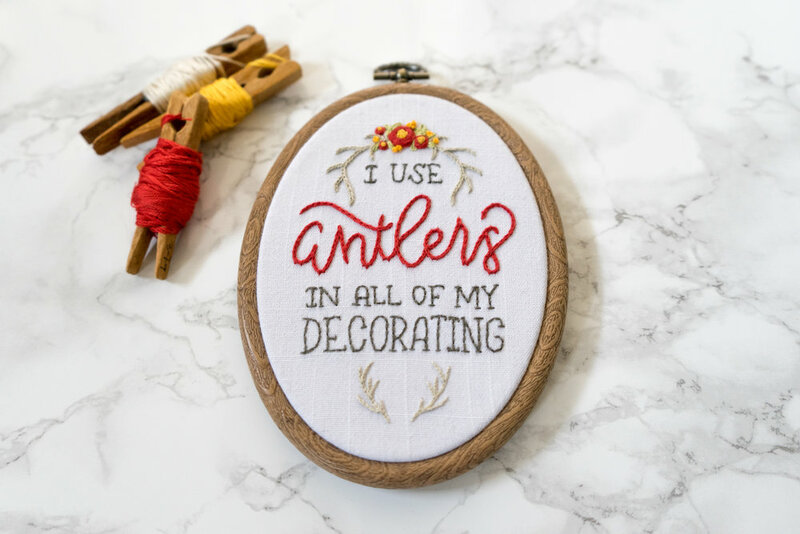 How did I find my love of embroidery, you ask? Well, my Yiayia (Grandma in Greek) taught me how to embroider when I was in 5th grade, and I loved it! I had so much fun learning a new skill, but I think the best part of it was spending time with one of the most amazing and kindest women I ever knew. When the 100 Day Project started two years ago, I was struggling with what I wanted to do. I love lettering and illustration, but I wanted to do something unique. At the time I was also missing my Yiayia - she passed away years ago, but she still has a very special and large place in my heart. With that in mind, I couldn’t think of a better way to feel close to her than to starting the 100 Day Project and honor her by picking up embroidery again for the first time since my childhood. It was just as much fun as I remembered, and I was hooked! Since then, I’ve been stitching almost non-stop. I have been creating my own patterns by lettering and illustrating them, then translating those sketches to fabric and stitching them out. I also do custom work for folks that want an extra special something. Every piece I create is unique and made with so much love! Everything I make is created with YOU in mind, and I hope you are able to decorate your homes, your wardrobes, and maybe even brighten someone’s day with one of my little creations! See you at Salt & Honey, and until you get there or if you can't make it, follow me on instagram @Lady_Scrib or visit my website!